When something goes wrong with your MacBook Air, it’s time to call Computer Answers. Even a laptop built as sturdily as a MacBook Air can become damaged or stop functioning up to desired levels. The power cable is notorious for fraying and its battery is locked away where the owner cannot easily gain access to change it. We have been servicing and repairing laptops made by Apple ever since the G3 and iBook models were released in the late 1990s. That iBook was the father to the MacBook and the granddaddy of the MacBook Air. Computer Answers has been the family doctor to the whole family. Why Choose Us For Your Macbook Air Repair? Because we know the hardware and programming of MacBook Air so well, Computer Answers has the experience and the expertise to diagnose your silver laptop’s problem accurately, and get it repaired and back to you quicker than anyone else. Most problems can even be fixed in the time it takes for you to have a cup of coffee after dropping off your MacBook Air at one of our five locations in Albany, Schenectady or Brooklyn. If you can’t bring your laptop to us, we can either arrange safe and secure shipping or even send one of our iMac technicians to your home or office. In that case, let us know in general or specific terms what the problem seems to be. It’s just like going to the doctor: Describe the symptoms. At the bottom of this page you’ll see some general categories as to common problems Mac laptops in general, and MacBook Air in specific have had in the past. We know them well and we have successfully fixed them. And if you just don’t know, that’s okay too. You bought that MacBook Air to learn how to become a computer technician. . So either call us Toll Free at 866-488-2806 or use our Contact Form. Either way, you’ll soon be talking with a Computer Answers pro who knows what to do get your McBook Air – and most importantly your enjoyment of it – back in great running order. We don’t expect you to know exactly what is wrong with your MacBook Air. If it will not start, the cause could be anything from a simple software problem, to a frayed power cord, to something major under the hood. At Computer Answers, we know that the right thing to do is to inform you as to what the problem is and what it will cost to fix it before you pay a nickel. So we offer a free diagnostic analysis whether you walk in with your MacBook Air, ship it to us, or arrange for an appointment with a technician. Whether you spilled a cup of coffee on the keyboard, or if your MacBook Air was exposed to water during a house fire emergency, it is crucial that you get that computer into the hands of a Computer Answers professional technician as quickly as possible. Time really is of the essence as that water may be creeping into your MacBook Air’s logic board, possibly causing extensive damage to the data contained in the hard drive. Your laptop may even seem to be running fine for a while after water exposure. CAUTION! If your MacBook Air has become wet, do not turn it on! Contact us immediately. Whether your MacBook Air has a standard or Retina display, its screen can become scratched, cracked or otherwise damaged. A broken display can be caused by exposure to intense heat, or the unfortunate accidents that occur with anything that can be carried around and dropped,. At Computer Answers we have fixed or replaced hundreds of displays and we will do that for you quickly and at the lowest possible cost. In an extreme situation your MacBook Air may become so damaged that it simply cannot be fixed. Vandalism or a house fire could be the cause, or perhaps a car accident, but the cause itself is not important. What is important is recovering the weeks or even years’ worth of important files contained on your computer’s hard drive. When Computer Answers performs a Free Diagnostic assessment, we will take a close look at your hard drive and give you an honest estimate as to how much of the data is recoverable and at what cost. You can trust that if it can be saved, Computer Answers will save that data. Perhaps your MacBook Air is just running slowly. Do you have strange toolbars appearing in your browser? Maybe you have noticed Applications that you don’t remember installing, or you think that you may have come under a virus attack leading to a security leak. 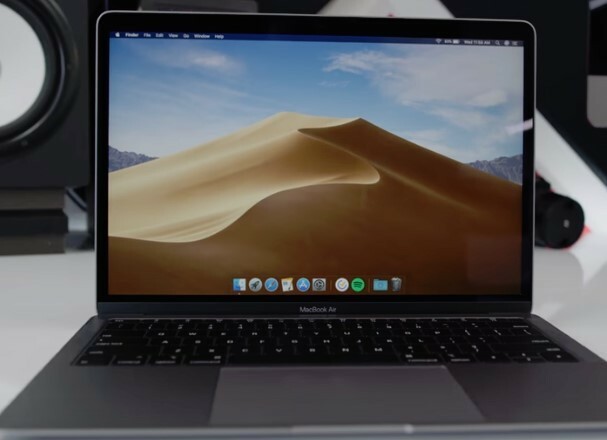 If any of those issues sound like something happening with your MacBook Air, you probably have a software issue that needs to be fixed promptly and carefully. At Computer Answers, we will analyze your software. If you approve, we will update your security applications and remove any spyware or other damaging programs. Just as every necklace has its weakest link, the MacBook Air has its power cord. One of the most frequently seen repair issues we service at Computer Answers is that of a power cord that has become split, frayed or severed, usually right where it plugs into the electrical outlet. If we can repair your current cord we’ll do it. If your MacBook Air requires a new cord, we keep replacements in stock for all models at each of our five convenient locations so we can put your laptop back in your hands within minutes after you bring it in.